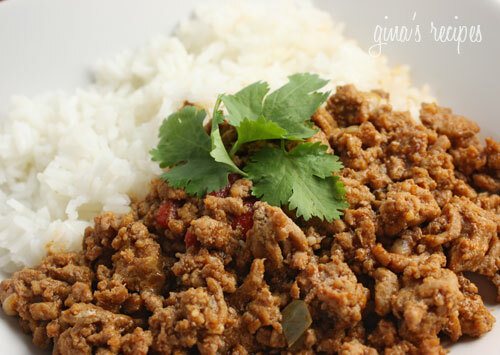 Turkey Picadillo is a lighter alternative to traditional Cuban beef picadillo. It’s great with rice and plantains, or as a filling for empanadas, tacos, stuffed peppers and more. Brown the ground turkey on medium heat in large sauté pan and season with salt and pepper. Use a wooden spoon to break the meat up into small pieces. Add sofrito to the meat and continue cooking on a low heat. Add alcaparrado (or olives and capers) and about 2 tbsp of the brine (this adds great flavor) cumin, bay leaves, and more salt if needed. Add tomato sauce and 1/4 cup of water and mix well. I made this and came out delicious, but the color is mostly white (from ground turkey) and red from tomatoes… why is yours more brown like beef? Hi Gina! Question – I plugged this into the WW App using the ingredients not the nutritional values. But it came out to 5 Freestyle points. Any idea why? Thanks for all your wonderful recipes, can’t wait for your new book! Following your advice, I used the Recipe Builder and it still showed 5 pts per serving. The1.25 lbs of 93% turkey is 19 pts, and the alcaparrado or olives are 1 pt, making the total recipe 20 pts, with 4 servings that’s 5 pts each. If it is made with 99% lean turkey, then it is 1 pt!! This is an absolute favorite of ours and our picky 2year old! But, with 93% turkey, I am coming up with 5sp? I got the same thing! What are we doing wrong? Maybe she mislabeled the turkey and meant to say 99% fat free turkey? Delicious recipe! Kids loved it! I would be interested in your skinny taste version of Filipino Giniling !!! This was such an incredible idea!! I had some home made sofrito on hand so I used that but followed along with everything else. I’m so appreciative of your site. 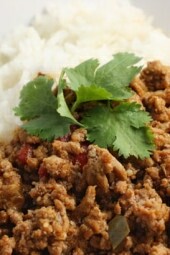 Ww were bored of ground turkey so I looked for a turkey recipe and tadah! Made some lime cilantro cauliflower rice with it. Thanks a million for the ease of recipe steps too. Your site is seriously life changing. Just made these tonight, they were great. I placed the meat in a tortilla. Have made this several times and always good. Looks like smart points here of 1 cannot be correct unless using 99% ground turkey breast. Hi Gina! Love this recipe. One question- I put this into my review builder and it comes out as 5 smart points. Any reason you think it could be coming out differently? I´m not a cilantro fan (at all!). Can I replace it with something else or just not add it? I made this yesterday (using only green manzanillo olives w/pimento) – DELICIOUS! I love making meals with ground beef/turkey, and this was a new one for me. Your recipes are terrific! Made this tonight and used it as filling for stuffed peppers. Was an amazing dinner! Thanks for all your delicious recipes. I made this tonight and it was absolutely delicious. I cheated and used Goya frozen sofrito. Loved this recipe. Thank you! any suggestions on substituting olives? my fiancé and I don’t eat olives. Do you have an empanada recipe?? I have seen you and others reference using this and the Cuban Beef versions in empanadas, but I can't seem to find a recipe for this. I appreciate your help! I actually make this all the time! It's healthy and quick. Only difference is add/minus some ingredients. We actually use some vino seco, dry wine, and water. Maybe about 1/4 of the wine and the rest water. You can also add 1 potato chopped in small cubes. Makes it more filling. Made this tonight as lettuce wraps with quinoa. Amazing! I made this last night & it was OH SO GOOD! I have made a similar recipe in the past, but this is the first time I added capers & brine and wow, that turned up the flavor to another level. My boyfriend was in the kitchen and he was totally against the capers. He was also amazed by the results. I used this to stuff peppers and that's my lunch today! OH SO GOOD! Thank you Gina! Made this last night and loved it! looking forward to the leftovers for lunch today. I made it almost exactly according to the recipe using jalapeno stuffed green olives instead of alcaparrado (it's what was in my fridge) and added half a red bell pepper in addition to the green to use it up. Serving size was just barely shy of a cup for those that were trying to measure out a portion size! This was delicious! I'm eating the leftovers for lunch as I type. I'm already planning to make this again. I will make 2 lbs next time as the leftover would surely be great in empanadas– which the kids will love! We all loved this! I'm just sad that there were no leftovers for my lunch tomorrow. I used green olives but kept everything else the same. 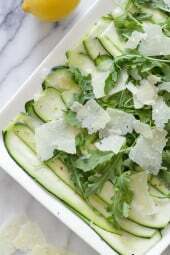 Yet another of your recipes that will become part of my regular rotation. Thank you! Thanks again! This recipe is amazing! 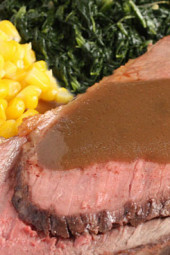 Your website has been such a blessing to me while trying to lose weight postpartum. In LOVE with this one. Always on the hunt for low carb, lean protein meals and this is a mega flavor win! I load my serving into the left over half of bell pepper and serve my boyfriends over rice. Fresh guacamole with lime is a great addition, too. Thank you for a new fav! I made this today and it was awesome!! The only thing is mine turned out to be a little like a stew from the onions and peppers and tomato juices, and then adding the water and tomato sauce. It didn't look like your picture. Is this supposed to be like this? Seems a good alternative. Did your beef pecadillo this week (also eating it for lunch today) and it's amazing! PS: Keep the good recipes coming! What a great recipe! I added half a zucchini. I did not have any olives or capers (or brine) so I added a few tablespoons of vinegar. Turned out great! Thanks, Gina! Your recipes always turn out wonderful. Just made this dish, I only had hot tomato sauce but it works if you like spicy food! Very flavorful! I served this along w/ your Cuban Black Beans and Tostanes + Mojo Garlic sauce. I'm surprising my mom with this for dinner tomorrow! Can't wait! I LOVE YOUR BLOG!!! I made this last week and my husband suggested I add some raisins since the recipe reminded him a lot of the mixture for Peruvian empanadas and it turned out delicious! We served it over rice. Sorry, not without remaking it. Easiest way to figure out the serving size is by weighing it, then dividing by 4.
hi — this is great recipe. do you have a sense of how big a serving size would be in terms of cups? thanks! This was delicious. I love how it wasn't greasy at all like regular meat picadillo. My kids and husband loved it. Thanks! Wonderful! Try the pernil to make a skinny cuban quesadilla!! Gina where have you been all my life!?!?!??!? My best friend made your Chicken and White Bean Stuffed Peppers last night and it was SOOOOOO delicious I begged her for the recipe. That lead me to your site where I found this recipe. One word: DELICIOUS. (This is coming from a native Floridan who knows her cuban picadillo.) I still can't believe it was ground turkey!!!! You have a fan for life! I can't wait to try more of your recipes…. To the person who mentioned good ground turkey and bad, you can find ground turkey breast which only has 0.5g fat per 4 oz which is very different from general ground turkey (which can be more like ground beef in its fat content). Currently cooking this (I'm letting it simmer longer cause it's a Sunday and I have time) and I can't wait to try it – your recipes are always super! This was great! I didn't have any cilantro on hand (could've sworn i got some! ), so instead i substituted most of the sofrito ingredients by using salsa with extra onion and garlic. We loved this one!! 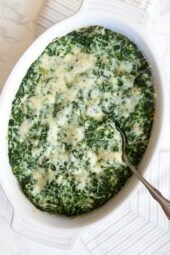 Wow – it's so easy, tasty, makes a wonderful presentation, and it is destined to become a favourite!!! Thanks!!! made this tonight w/rice and it's a winner!!! i can add this addiction to your chicken parm & mini-omelettes! Looks luscious,I will serve it with Brown Rice. @Ed, I used 93% lean turkey for this. Yes, the brine comes from the olive juice. does the brine come from the jar of olives? Great idea!People just nee to make sure of the fat content of the turkey. There is good ground turkey and bad ground turkey. @bishopswife- Thanks and you're welcome! Thank you, THANK YOU for doing this blog! I just found it last night and I started using your recipes today. They are family friendly and low in points. Great job! I can't wait to tell everyone about this amazing discovery!